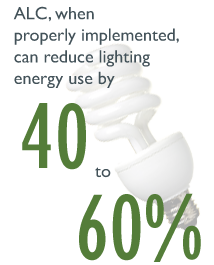 Commercial buildings can enjoy up to 40 percent in energy savings by simply turning lights off in unoccupied offices, conference rooms and restrooms during business hours. Proper design and installation creates enormous costs savings, which is increasing consumer demand for the services provided by CALCTP-trained installers and technicians. Partner utilities, which serve more than 90 percent of the California market, require CALCTP-certified general electricians on each project. CALCTP-certified general electricians understand the mechanics behind the technology as well as how to properly install the devices. 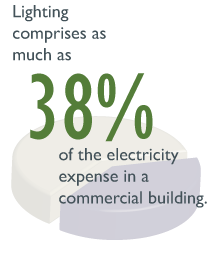 Commercial buildings account for more than 40 percent of the electrical load in the state. 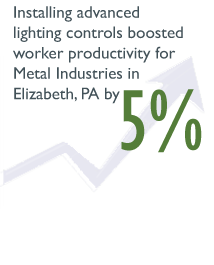 Since interior and exterior lighting makes up 35 percent of the commercial load, small changes can make big impacts on electric use in commercial buildings. 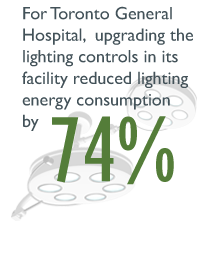 Advanced lighting controls mandated by California state policy promote smart energy use and progress toward state energy savings goals. 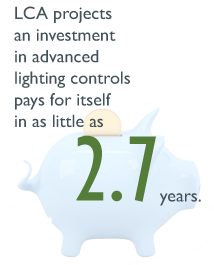 The California Advanced Lighting Controls Training Program (CALCTP) is a statewide initiative aimed at increasing the use of lighting controls in commercial buildings and industrial facilities through education. CALCTP is composed of two training programs: (1) an installation program and (2) an acceptance test technician program (Title 24 requirement). The CALCTP Installation Program educates, trains and certifies C-10 licensed electrical contractors and state-certified general electricians in the proper installation, programming and maintenance of advanced lighting controls systems. Click here to find a CALCTP-Certified Installation Contractor in your area or click the Get Certified tab above for more information on becoming a certified technician. The 2016 Building Energy Efficiency Standards requires certified technicians to conduct tests to pass/fail installed lighting controls. CALCTP is a state recognized provider that certifies employers and technicians. Click here to find an acceptance test employer in your area. Information on becoming an acceptance test technician can be found in the CALCTP-AT Handbook or by contacting CALCTP by email at info@calctp.org or by phone (877) 670-7910. PG&E's Pacific Energy Center is hosting a CALCTP Systems Course on April 3 - April 4. Sign up to take advantage of new incentives.